The Microsoft Surface 3 Leaves Quite the Impression! Are you looking for the best graduation gift? May I suggest an outstanding idea?! In today’s tech-driven classrooms, a laptop or tablet has gone from a nice-to-have, to an absolute necessity. The Surface 3 is powerful, productive and portable, delivering the fun aspects of a tablet, with the functionality of a laptop – and now it’s thinner, lighter and more affordable than ever. Starting at $639 it provides the perfect tools to support visual, auditory, linguistic and kinesthetic learners. With a Intel Atom x7 processor and Windows 8.1, the Surface 3 is perfect for multitasking, provides 10 hours of video-playback and can run downloadable programs just like a PC. Like a laptop, the Surface 3 comes loaded with multiple ports so students can easily plug in a USB, mouse or printer. It even comes with 1TB of free OneDrive storage, so students can access their files anywhere. The device receives a free upgrade to Windows 10 (once it launches this summer) and ships with a free one-year subscription to Office 365 – giving students the crucial software they need to develop reports, create presentations and work on spreadsheets. 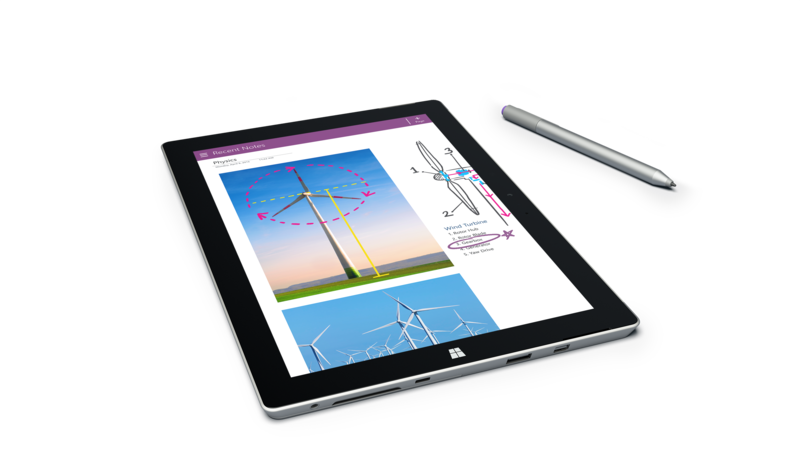 Pair the device with a Surface 3 stylus, available for $49.99, and it’s easy to markup digital textbooks, or take notes by hand and convert them into text using OneNote. It’s no wonder Surface tablets are top of their class! Sunni Brown was named one of the “100 Most Creative People in Business” and one of the “10 Most Creative People on Twitter” by Fast Company. She is founder of a creative consultancy, an international speaker, the co-author of Gamestorming, and the leader of a global campaign for visual literacy called The Doodle Revolution. Her TED Talk on doodling has drawn more than a million views on TED.com. She advocates for visual and game literacy as breakthrough tools for innovation, creativity, self-awareness and cognitive performance, as well as the whole-mind-whole-body approach to learning. She lives in Austin, Texas. 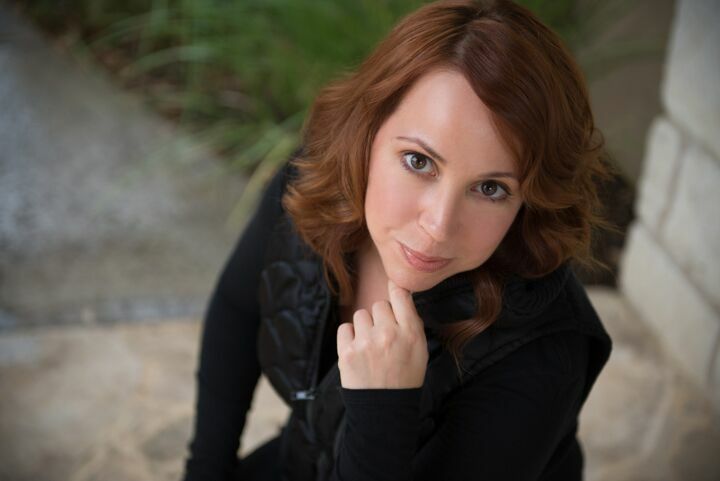 Sunni Brown, award-winning author and learning and creativity expert partnered with Microsoft to share some advice for students living in the fast-changing learning landscape. Visual learners, kinesthetic learners, auditory learners and linguistic learners—as well as students who learn better collaboratively—are now much more empowered to embrace the style that they find works best for them. 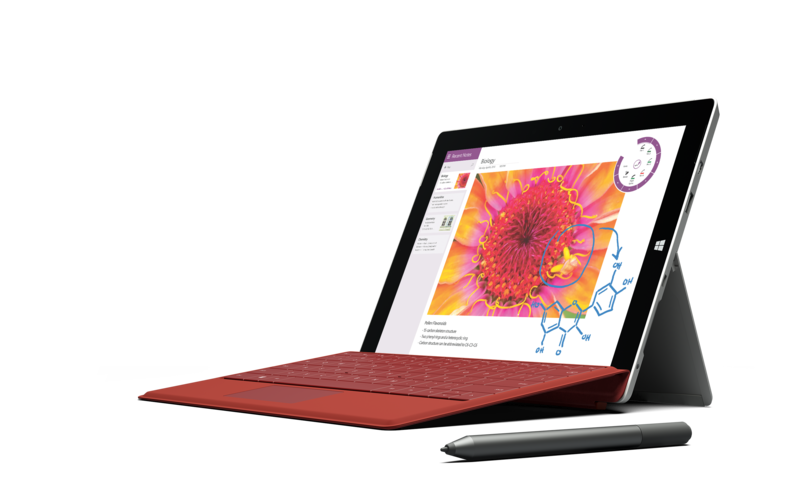 Microsoft’s new Surface 3 is a hybrid tablet and laptop device that responds and supports rapid, collaborative, productive and visual thinking and learning. My thoughts: This device is the perfect tool to help my daughter succeed. She has her final year at High School to look forward to, and then she’ll have to decide which path to take! 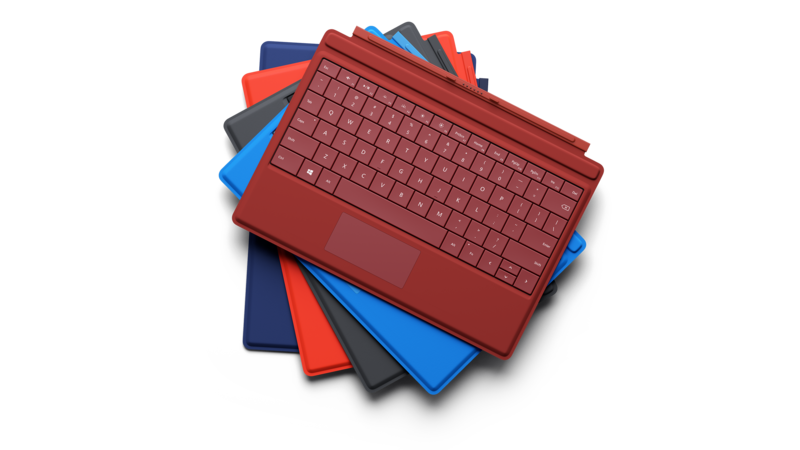 I’m thinking that the Surface 3 would even make a great back-to-school gift! It would certainly make her feel empowered, and as if she were walking through a doorway for the first time. It’s common knowledge that students nowadays are awash with information. Bits, bytes, likes, pings and pokes are everywhere and they’re capable of overwhelming anyone’s system, but learners don’t need to flounder wildly in the Internet wilderness. Nowadays, there are a variety of effective tools and techniques that can help us make sense of the content we’re surrounded by. Here are a few tips to help students start to wrangle the fire hose of information. 1. Give yourself permission to doodle in class – Historically, doodling has been unpopular in the eyes of parents and teachers who believed that a doodling student was not paying attention. Thanks to a host of recent studies on visual language, we now know the opposite can be, and often is, true. Doodlers are actively engaged learners, they tend to retain more information and have higher levels of concentration than their non-doodling counterparts. Embracing this native and highly beneficial visual language is a healthy first-step toward supporting and accelerating our learning processes. 2. Doodle digitally – Building analog visual notes is always a useful endeavor, but doodling digitally allows for rapid modifications, quick-deletes and no-waste experimentations, easing some of the inevitable concerns about dipping our toes into visual literacy. Different doodling and sketching applications, like Drawboard or similar apps are available to help doodlers dive into the digital domain and discover what they can do. These apps are all accessible on a tool like the Surface 3, a tablet that works like a laptop, and with the Surface Pen, offers a smooth migration from drawing on paper. With the Surface Pen, digital doodling is a joy – students can try a variety of techniques, delete, modify and enhance their doodles and share immediately on their favourite social networks or email. 3. Share and compare visual notes – A set of visual-language tools and digital tablets that support visual thinking will enhance various parts of the learning experience. The beauty of being able to generate visual notes is that they themselves become tools of engagement. Peers would much rather SEE a student’s work rather than deciphering frantically-scrawled handwriting or scrolling down pages of pounded-out notes typed on a laptop. Applications like Microsoft OneNote allow for easy visual-thinking collaboration – students can quickly doodle a mental model or a visual explanation and share it with a classmate or with a broader network and request that they add or edit the doodles – which is far less disruptive than passing notes! Engaging learners with visual language heightens interest, deepens engagement and accelerates understanding. Learning from multiple minds will virtually always yield richer insights. 4. Behold the Visual Alphabet – The phrase ‘visual language’ is often associated with talented “creative types” or with designers and artists. To move beyond the intimidation factor and learn how to give the doodle it’s “do”, explore something called The Visual Alphabet. Like the linguistic alphabet, the Visual Alphabet is a set of “letters” that allows us to build and express ideas and concepts when put together. To weave visual language into a learning experience, students don’t need to be Michelangelo; but they can use this simple alphabet to show rather than tell simple ideas. 5. Let loose with The 12 Devices – Once students have mastered the Visual Alphabet, the next set of tools they can use is called The 12 Devices. The 12 Devices are elements of visual literacy that help create a more elaborate display or set of visual notes. Each device is easy to generate even for those of us without noted artistic talent, and once these tools are available, student learners become fully capable of showing systems and processes like, for example, what an exploding supernova looks like or how food is processed in the body. The changing learning landscape is opening our eyes to a much broader range of student learning styles. Visual learners, kinesthetic learners, auditory learners and linguistic learners—as well as students who learn better collaboratively—are now much more empowered to embrace the style that they find works best for them. 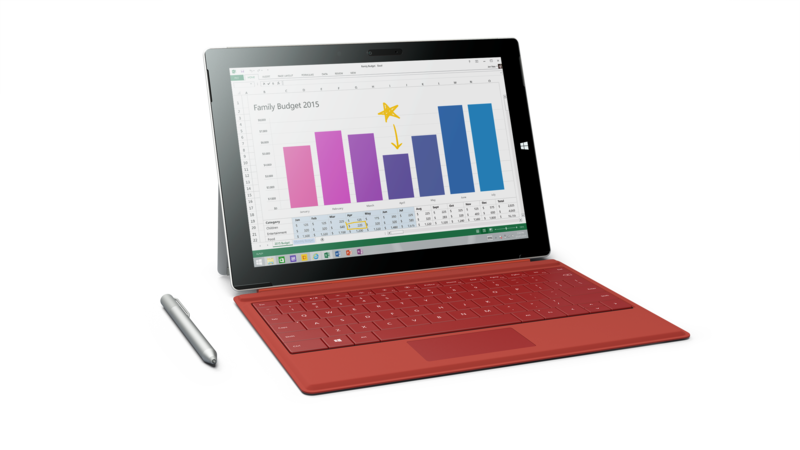 Microsoft’s new Surface 3 is a hybrid tablet and laptop device that responds and supports rapid, collaborative, productive and visual thinking and learning; it is compatible with your favourite software, allowing you to run apps and desktop software side-by-side. That means students can use it as a tablet with their Pen when they want to get creative or connect with friends, but when it’s time to get productive, they can attach their keyboard and get to work. Established in 1985, Microsoft Canada Inc. is the Canadian subsidiary of Microsoft Corporation (NASDAQ “MSFT”) the worldwide leader in software, services and solutions that help people and businesses realize their full potential. Microsoft Canada provides nationwide sales, marketing, consulting and local support services in both French and English. Headquartered in Mississauga, Microsoft Canada has nine regional offices across the country dedicated to empowering people through great software – any time, any place and on any device. For more information on Microsoft Canada, please visit http://www.microsoft.ca.